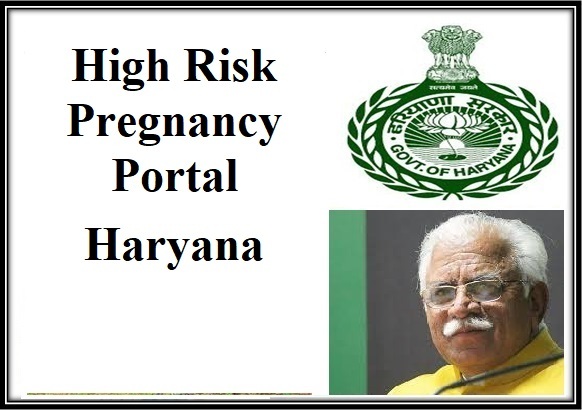 The state government of Haryana is one of the first states to have launched the services of high risk pregnancy via web portal within the country. According to the new updates the state government shall be providing with services that will be efficient using the latest technology for identifying the cases of high risk pregnancy within the state. The new policy for identifying high risk pregnancy cases within the state was officially launched by the state government health department since 2017 November. The latest announcements of launching the new web portal services was officially announced by Anil Vij ( State’s Health Minister) on 6th January 2018. One of the man features of the web portal services is that it will prove helpful in identifying the cases involving high risk at the time of pregnancy. The service will offer with advanced methods for identification process. According to the sources the services will also be efficient in offering with assistance to the desired candidates within the time limits along with providing all details to the respective civil hospitals. Making use of the notifications the civil authorities and professional staff can act accordingly in time to offer with completely assistance to the patient, such that each assistance will be under taken by medical experts. The state government has also made it very clear that each of the cases at the time of emergency will be directly regulated and supervised by the Health and Family Ministry at the Union level and NITI aayog. Making use of the web portal services the details involving identification of each case individually will be undertaken such that all assistance will be provided directly by the professional civil hospitals within the state limits. According to the statements made the new implementation will also prove helpful in regulating and reducing the deaths or decline of mortality rate of the mother along with mortality rate of the child. This initiative has been taken by the state government after considering the high mortality rate for mother and infant in the state at the time of high risk pregnancy. The state government will ensure that all such cases are well attended on timely basis by the professionals. The new application launched has been developed with an aim to track any such high risk pregnancy cases instantly. The application is efficient to track the proceedings even after 42 days from the time of delivery of the child. This will make it possible so that the mother will be able to get desired and right level of medical treatment from the experts. This assistance will be offered to the mother at the time when she is under pre-natal stage. According to the state government and health departments, the new initiative will prove helpful in reducing high risk pregnancy cases as most civil hospitals and surgeons are already aware of the new implementations.